Scan the performing arts sections on Inside Philanthropy and you'll find a wide array of gifts earmarked for various causes. What you won't find are many gifts earmarked for an inanimate object, much less the world’s "largest mechanical action concert hall pipe organ." It would make great copy to simply frame this news of a foundation funding "the largest pipe organ in the world," but there's clearly a lot more nuance going on here. First and foremost, consider the larger context that is the performing arts space. "Highbrow" organizations are been struggling mightily to engage and retain audiences. San Francisco Ballet Marketing Director Mary Beth Smith summed up the challenge most succinctly, noting, "Our competition isn't the opera or the dance company down the street—it's anything audiences can do with their leisure time." Orchestras and symphonies, in particular, are feeling the pinch. According to a recent report by the League of American Orchestras, classical orchestras now receive a majority of their revenues from donations. And yet it's the baby boomer and silent generation donors keeping orchestras afloat that programming directors can't afford to alienate with "edgier" fare. And so the Philadelphia Orchestra, with help from the Wyncote Foundation, hopes to thread the needle by rolling out programming focused on a unique asset residing in the City of Brotherly Love. By infusing its partnership with a kind of artistic civic pride, the orchestra found a natural ally in the Wyncote Foundation, one of Philadelphia's biggest arts supporters. Which brings me back to Frederick R. Haas. Frederick's father was John Haas (1918-2011), the former chairman of global chemical company Rohm and Haas, and the William Penn Foundation. The Wycote Foundation was formed in December 2009 with the funds of the Otto and Phoebe Haas Charitable Trusts. Frederick sits on boards of both the William Penn and Wycote Foundations. Orchestra President and CEO Allison Vulgamore sums up the spirit of the partnership accordingly: "We are truly grateful to the Wyncote Foundation, and to our longtime advocate Fred Haas, for allowing us to enrich our programming through highlighting the importance of this incredible instrument unique to our home of Verizon Hall. 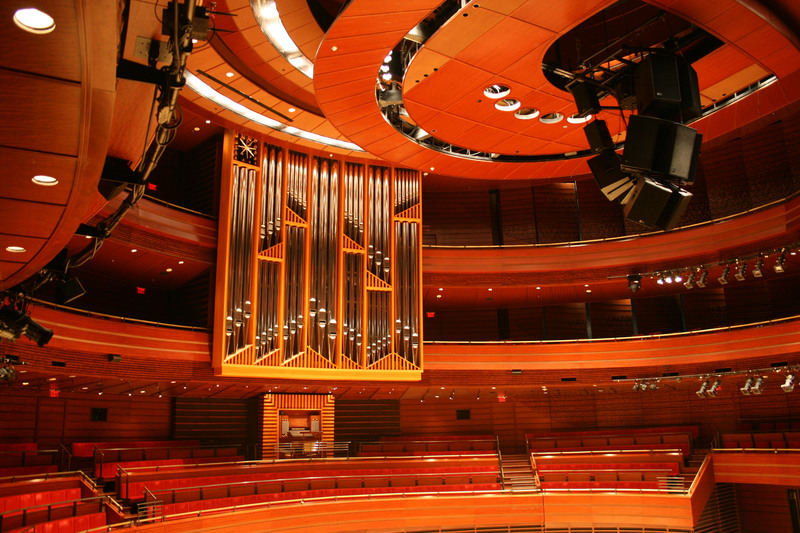 "It is an honor to cultivate the partnership between the Philadelphia Orchestra and Wyncote Foundation, to explore new ways to present organ music to the audiences of Philadelphia."